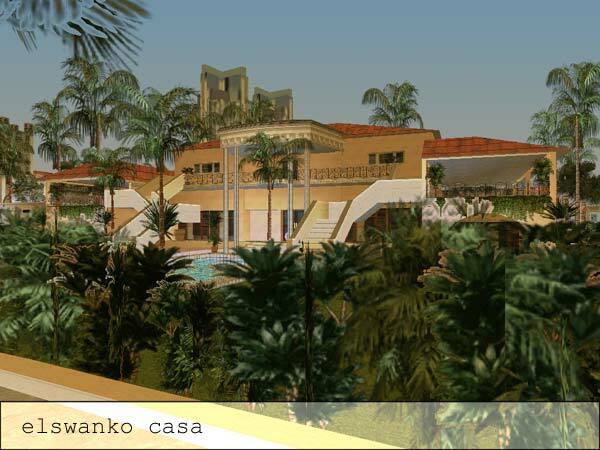 Below is a list of save houses that you can buy during the course of the game. 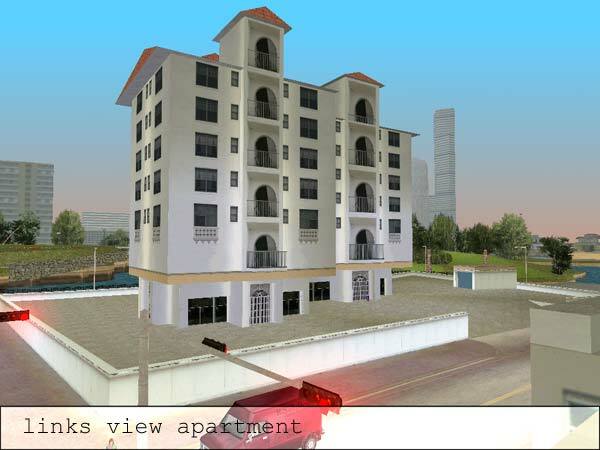 All these properties can be used to save your game and some of them have garages that can be used to save your cars. 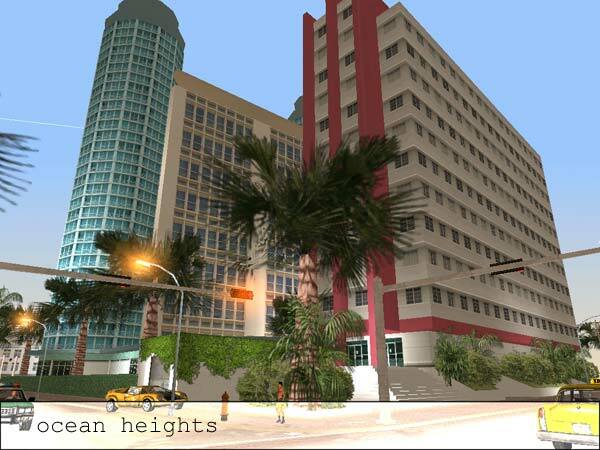 If you have collected over 10 hidden packages, you will recieve weapons at the Ocean View Hotel (that's the place where you first save point is), the vercetti mansion on starfish island and the Hyman Condo, in downtown. Location: Downtown, on a rooftop that's down the street and around the corner, north of the Biker Bar. Location: On the shoreline north of North Point Mall. 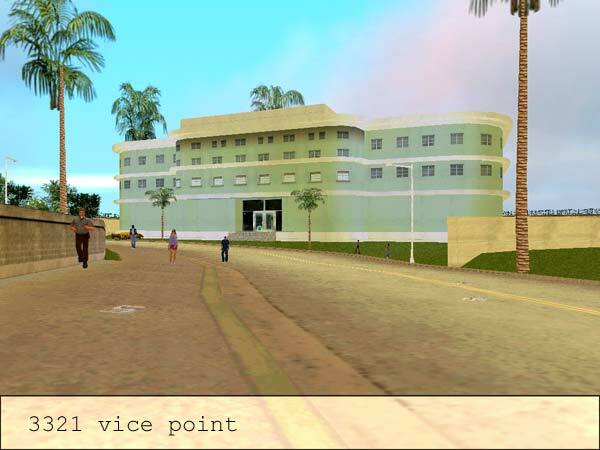 Location: East of Leaf Links Island and west of the Vice Point Police station. how can i enter in my purchased houses? Hyman Condo has one great feature except the helipad. The first garage is big enough to save a HUNTER and a RHINO. Just land the Hunter in front of it, then carefully push it in on foot. When you need it just push it onto the road and lift off. In total you can save 8 vehicles there. 4 in the first garage and 2 in each of the other ones. 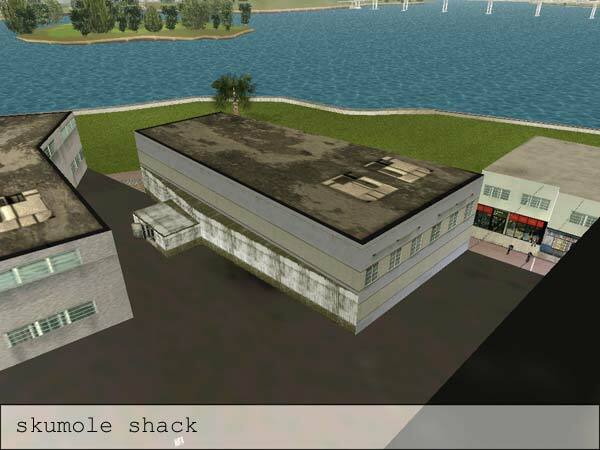 Skumole Shack is quite usefull if you trying to collect the packages as quick as possible before doing too many missions. It costs hardly anything (usually when I get to the "main land" I dont have 14000 yet for the condo. 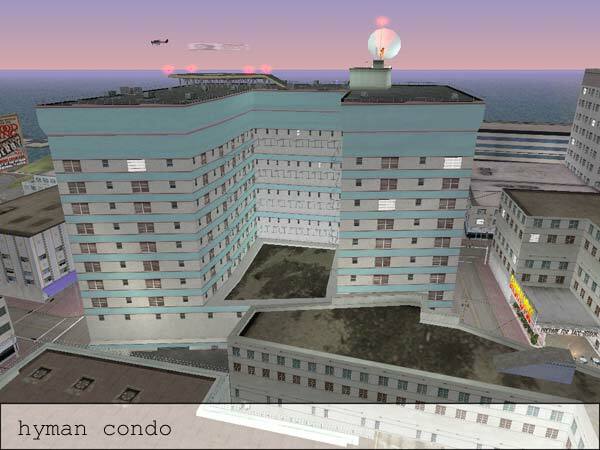 So I safe there and use the Police Maverik on top of the Police Station Downtown. I dont care about garages, because usually I never take out the cars again that I safed there.